Even though the Montreal Canadiens won the Northeast Division last season, the Boston Bruins, for all intents and purposes, are simply the king of the division. 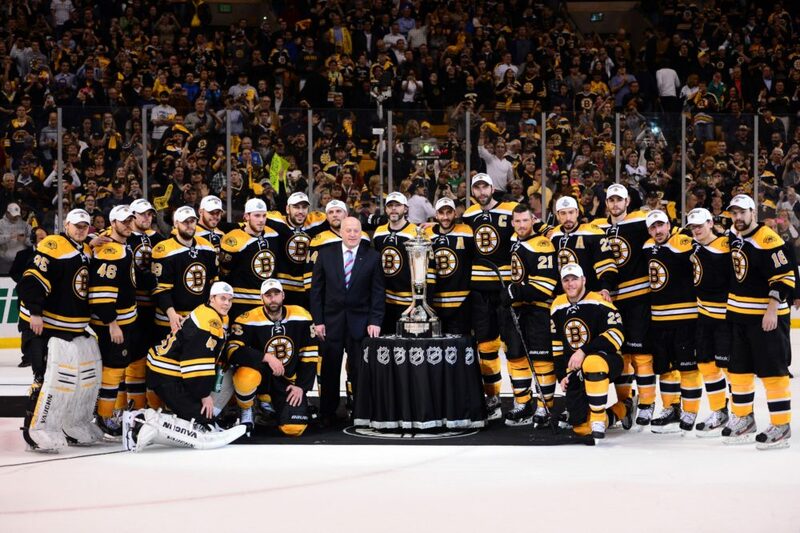 The Bruins have made two of the last three Stanley Cup Finals and have won two of the last three Northeast Division titles. It was clear with the moves over the past few days that the Bruins’ Northeast Division rivals were trying to keep up. Now that the league has realigned, more teams are now added into the fold. The Detroit Red Wings, Florida Panthers, and Tampa Bay Lightning are now added into the former Northeast Division into the new “Division C”, name to be changed hopefully. Who has a legitimate shot at usurping the Bruins throne and winning the new Division C? A lot of teams are certainly trying to make a run given recent moves. Perhaps the most busy of all teams within the division are the Toronto Maple Leafs. The Leafs have been very aggressive this offseason and rightfully so. The Leafs season ended in absolute heartbreak with a stunning collapse to the Boston Bruins. The Maple Leafs may have found their goalie of the future in Jonathan Bernier, who came over from the Los Angeles Kings, and may just oust James Reimer out of a starting job. Bernier was a hot commodity, but one thing that Leaf fans should be nervous about is that he is unproven. Bernier hasn’t played in that many games, 62 games in parts of five seasons, and his record is so-so at 29-20. 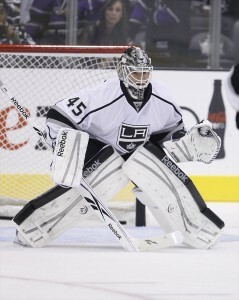 He had a good season with the Kings this year going 9-3, but how will he fare for a full season as maybe the starting goaltender for a team with a rabid fanbase? The Maple Leafs also picked up a free agent in David Clarkson. The former Devil signed a 7 year, $36.75 million deal with the Leafs. The Maple Leafs wanted to get tougher, but may have overpaid for the crasher Clarkson. Clarkson, who is 29, signed a seven year deal. Seven year deal! At $5.25 million a season who a player more known as a physical forward than an offensive one. Players who play the way that Clarkson do, get phased out of the league quicker than normally. It’s definitely a very risky signing by Toronto, but you never know, it could pay off. The Leafs were able to get hometown boy Dave Bolland from the Chicago Blackhawks for draft picks. A move I actually like by the Maple Leafs. The Leafs didn’t need to give up much and can instill some winning attitude on a franchise dying for a Cup. Perhaps the biggest loss for the Maple Leafs isn’t a player at all. Toronto Marlies head coach Dallas Eakins left Toronto to become the newest head coach for the Edmonton Oilers. Eakins has a great track record with developing young players in the system and is a huge part why the Leafs made the playoffs and almost knocked off the Bruins. The Senators will have a different look next season. Something the Senators haven’t seen since 1995: Daniel Alfredsson not in a Senators sweater. The longtime captain of the Senators left town for new division rival, Detroit, and a better chance at winning the Stanley Cup. Senators fans need not worry however because the team shortly after losing Alfredsson made a big splash. 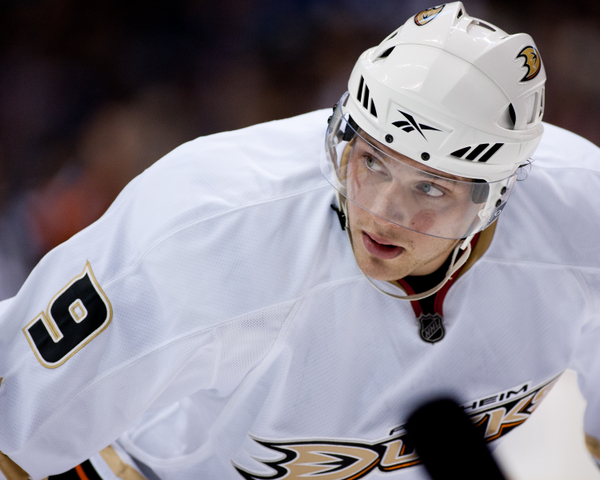 Ottawa acquired Anaheim Ducks playmaker Bobby Ryan for Jakob Silfverberg, Stefan Noesen, and 2014 1st rounder. Ryan won’t be, and isn’t expected to be, Alfredsson. No one can fill his shoes, but Ryan gives the Senators a young playmaker and gives the team a more potent offense. The team also brought in former Maple Leaf Clarke MacArthur. MacArthur is an underrated player that has scored 20+ goals in two of the past three seasons. The arrivals of Ryan and MacArthur may actually give Ottawa a better team without Alfredsson, but still doesn’t ease the pain of Alfredsson in a Detroit sweater. Ah, yes, the Bruins mortal enemy, the Montreal Canadiens. The last ever champion of the Northeast Division saw their season go down in flames in a five game series loss to the Senators, including an embarrassing 6-1 loss in Game 5. The Canadiens, however, didn’t really do much in the offseason so far and I can see why. Although the Canadiens didn’t really put up much of a fight against the Sens, they still pretty much have the same corp intact. The Habs did lose Michael Ryder and Yannick Weber to the New Jersey Devils and the Vancouver Canucks respectively, but still have a solid team around them. PK Subban is still there and he is playing the best that he has ever played at. Brendan Gallagher is a young player with a lot of talent and will only get better. Montreal’s future looks pretty bright, so, no need to screw it up with trading away prospects or younger players. 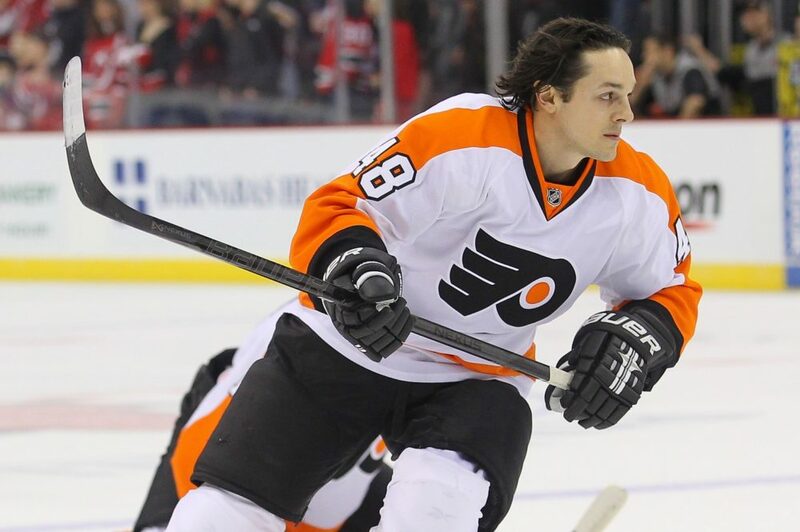 One move by the Canadiens I really like was the signing of Danny Briere. Briere, a native of Gatineau, Quebec, looked up to the Canadiens as a youth, much like many Quebecois. Although his stats were a bit down over the past couple of years, a new environment playing for the team he idolized while growing up in Quebec could charge his batteries and have a comeback year. The new kids on the block trying to make an impression. After years of dominating the Western Conference, the Detroit Red Wings are moving over to the Eastern Conference to try their hand at the Prince of Wales trophy. The Wings lost Valterri Flippula to the Tampa Bay Lightning, a new division rival. The Wings responded by bringing in former Ottawa Senators captain Daniel Alfredsson and former Florida Panther Stephen Weiss. However, the Wings may have overpaid for both players. Alfredsson signed for one year, $5.5 million, a tad too high for a 40 year old who isn’t going to be the face of the franchise like he was in Ottawa. $5.5 million is way too high for Alfredsson, but the Wings bit and signed him up. The good news though is it is only for one year, so, really it isn’t going to affect the team all that much. Weiss’ contract is another story. Stephen Weiss signed a five year, $24.5 million deal with Detroit, a price tag that no one but the Wings were willing to give him. Weiss did nothing this past season to warrant a contract of that length and monetary level. 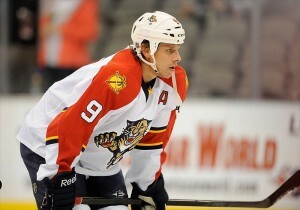 Weiss only played in 17 games this season with the Panthers, but in that time he scored only four points. Granted he underwent wrist surgery in March that ended his season and that caused his point total to drop. That, if anything, should be a red flag for the Wings. Weiss isn’t getting any younger and this could be the start of some nagging injuries and the Wings will be on the hook for the remainder of his contract if he continues to get hurt. These three are probably going to be the bottom dwellers in the division, let’s face it. 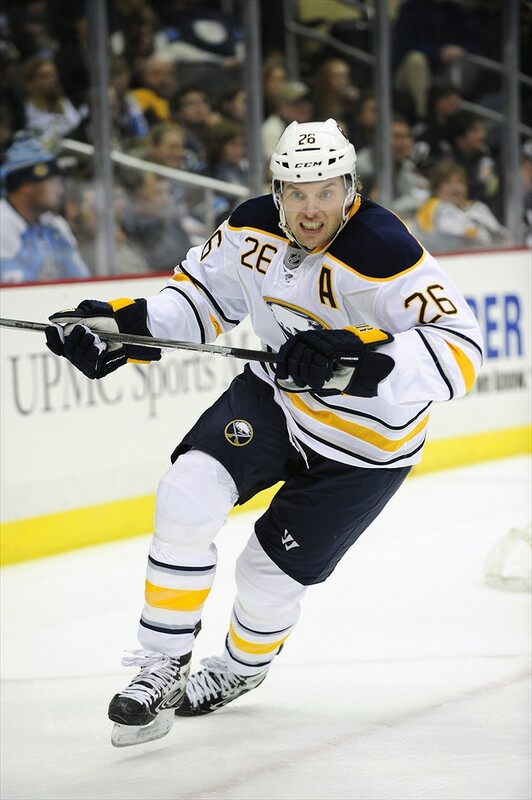 The Buffalo Sabres are in a clear rebuilding mode. They gutted the team last season when the axed coach Lindy Ruff and traded captain Jason Pominville, Robyn Regehr, and Jordan Leopold. The Sabres are dangling Thomas Vanek and Ryan Miller as bait and they could very well be gone before the end of next season. The Tampa Bay Lightning parted ways with Vincent Lacavalier and brought in former Red Wing, the aforementioned Valtteri Flippula. Flippula is a solid player, but he’s not the answer to the Lightning’s woes. The Florida Panthers, well, are the Florida Panthers. Enough said.